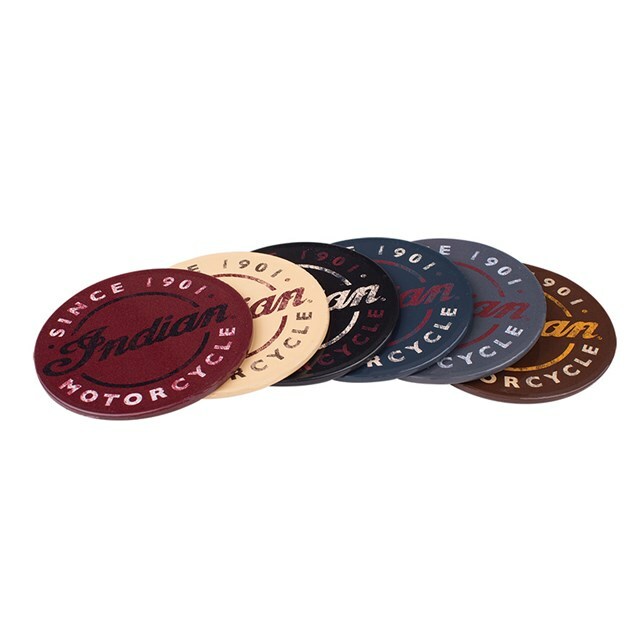 Enjoy your beverage while protecting your table or bar with Indian Motorcycle® metal tin coasters. Set includes six different tin coasters with cork bottoms. Size: 9cm diameter.